Sint Maarten, the Dutch half of a Caribbean island half controlled by the Netherlands and the French, was devastated by Hurricane Irma. The island, 300 km east of the US territory of Peurto Rico, was similarly struck by the powerful winds of the storm. 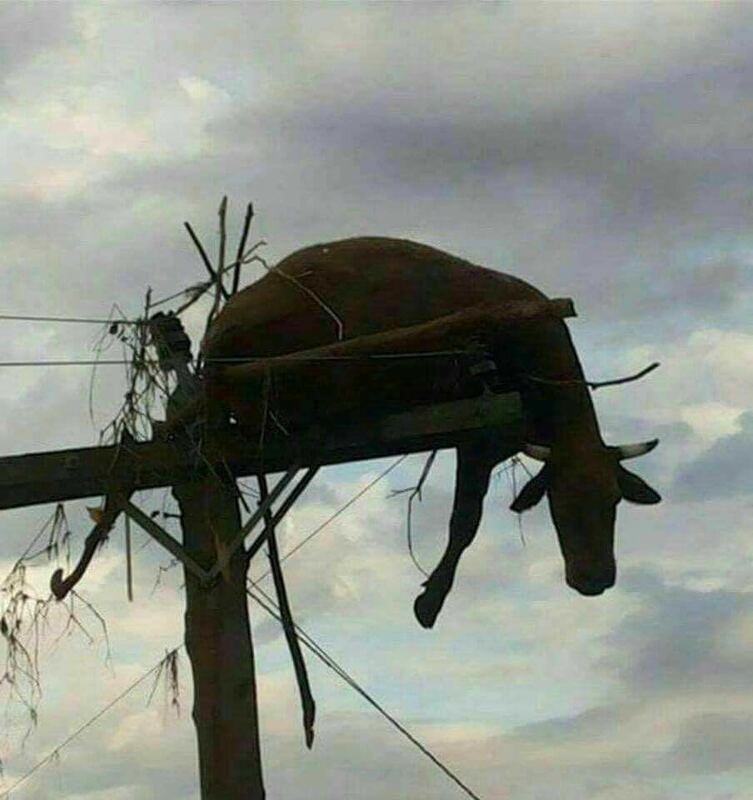 A resident on the island sent this photo to a relative, assuring them it was “not a photoshop.” It appears to depict a cow stranded atop a telephone pole on the island, apparently deposited there by the devastating force of the hurricane. The speed of the storm’s winds topped out at about 300 km/h. Much of the island of Sint Maarten remains without power, as does Puerto Rico.